Edited by Outi Tánczos, Magdolna Kovács and Ulriikka Puura. 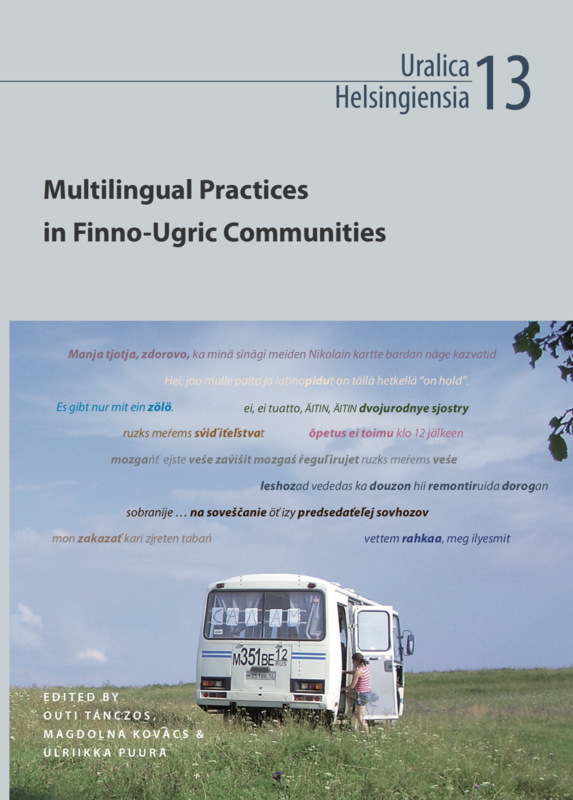 Finno-Ugric speech communities are experiencing profound transformations that produce an intriguing landscape of multilingualism and shifting interlingual dynamics. This volume provides a collection of papers that explore different aspects of multilingual practices in varying sociolinguistic profiles, ranging from contacts between state languages to minority- majority language relations. The articles pay special attention to code-switching, its background and consequences, forming a rich overview of the topic. Uralica Helsingiensia (UH) julkaisee artikkelikokoelmia ja monografioita uralilaisten kielten tutkimuksen saralla.